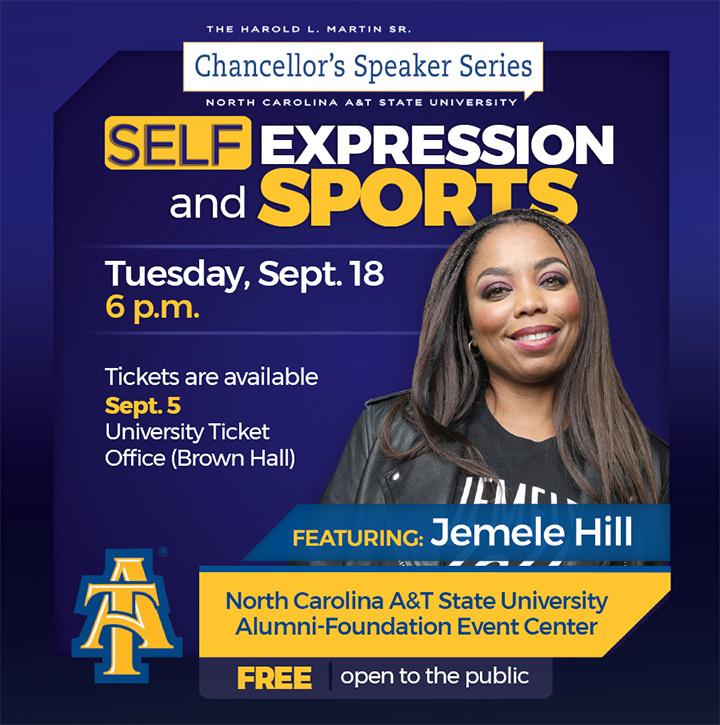 EAST GREENSBORO, N.C. (Aug. 28, 2018) – North Carolina Agricultural and Technical State University has tapped veteran journalist, ESPN correspondent, columnist and former co-host of the flagship “SportsCenter,” Jemele Hill to kick off the first Chancellor’s Speaker Series of the 2018-19 academic year, at 6 p.m., Tuesday, Sept. 18, at the Alumni-Foundation Event Center. For more information, contact University Relations at 336-256-0863 or visit Chancellor’s Speaker Series online. To request media credentials, visit the university’s website.